“Today is hard,Tomorrow will be worse,But day after tomorrow will be sunshine” BY “Jack MA” Founder and CEO of Alibaba Group. Now a days Start up Idea is so common in India. Everyone have unique & perfect Idea. Everyone want to start with enthusiasm, But whenever people want to implement in ground level, they face so many problem. Headstart bring the solution of all entrepreneur’s problem. 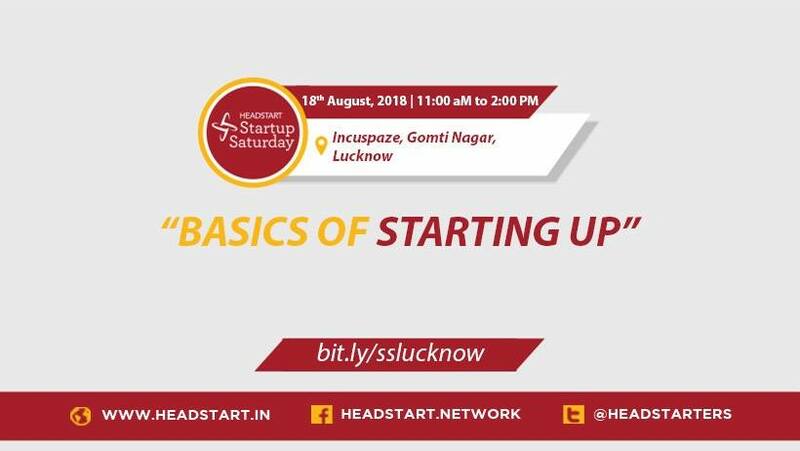 To understand the nuances behind each aspect of Startup, Join us on 18th August for Startup Saturday on “Basics of Start Up”. In case of any queries, reach out to thomas.s@headstart.in or +91-9695618073.